This item has been downloaded 1016 times. Recommended for use with the Firebird Sports Car (for Poser) product. 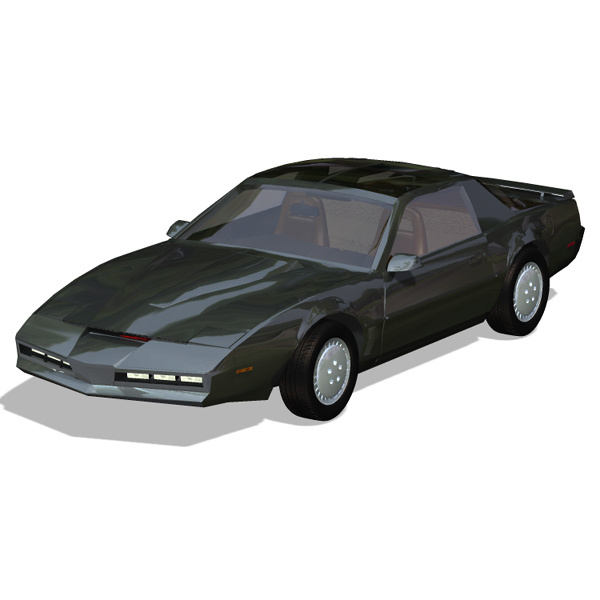 The add-on pack converts the Firebird Sports car into the car from the TV show Knight Rider: KITT. Poser cr2 file with new geometry for the front bumper (which adds the scanner). New geometry for the dashboard and steering wheel. 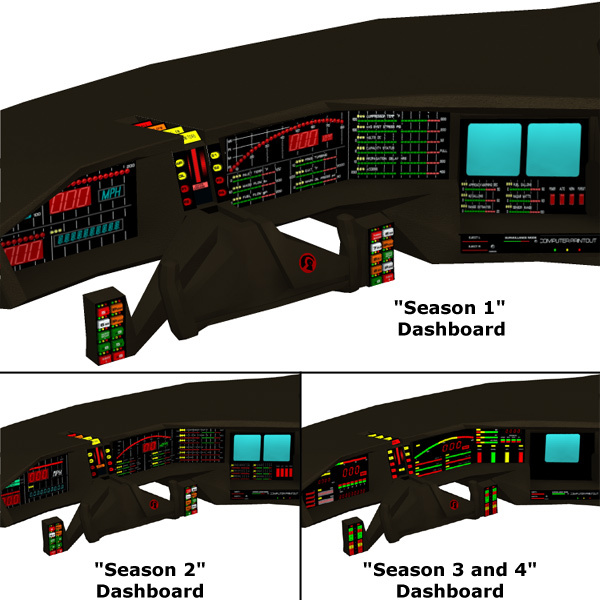 -"Lights off" MAT pose (for each season) to simulate turning off the dashboard instruments. -Separate MAT poses to change from "Auto Cruise", "Normal Cruise", and "Pursuit". -Includes corresponding displacement maps to make the buttons look three-dimensional. -License plate: 1982 California "Knight"
Scanner is mapped "planar z", so you can use any image or even an animated avi file. Note: Super-Pursuit Mode additions (from season 3) are NOT included, though these may come with a future add-on pack.